"I have often considered tackling my first triathlon, but wasn't sure where to start, plus running was always an issue for me. However, the TriActive program and ace coaching helped simplify my approach to the event...and now I'm a triathlete!" TriActive brings together people with varying fitness levels who work as a team to help overcome obstacles and achieve new health & fitness goals. 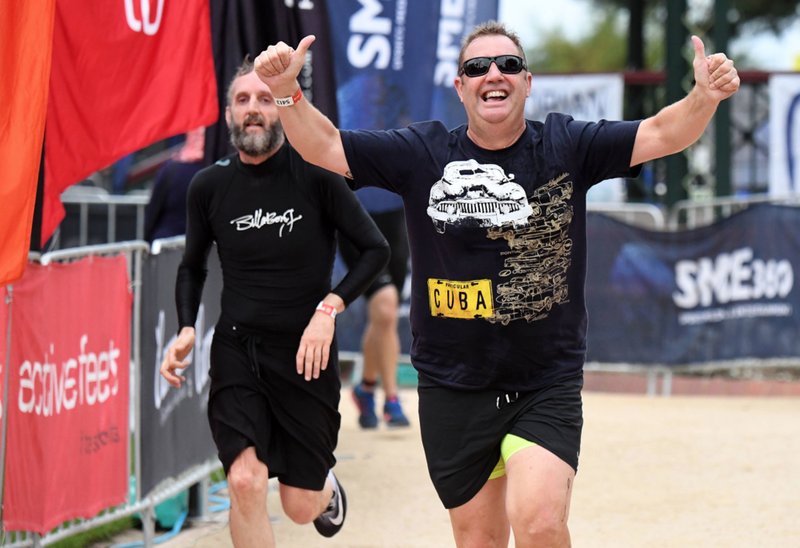 TriActive brings together people with varying physical activity experiences and fitness levels to exercise in a friendly and inclusive environment and enjoy feeling fit and healthy as they cross the finish line in their first triathlon. "I am still on a high from completing my first mini triathlon! I couldn't have achieved it without the support of the TriActive team and their introductory program...a great team and super coaches!" TRIactive is a twice weekly, group-exercise program for beginner triathletes that runs for 6 weeks and is designed for people who want to increase their levels of exercise through swim, bike and run. TRIactive has been developed for adults who would like to be a bit more active and take on the new challenge of triathlon, but don't really know how to get started. Triathlon is a sport that anyone can take part in and the aim of TRIactive is to encourage you to participate in a safe, friendly and inclusive environment with like-minded people in a twice-weekly exercise programme designed to help you achieve the goal of completing your first mini triathlon consisting of a 300 metre swim, an 8 km bike ride and a 2 km run. You can do that...Yes You Can! OK I'M READY, SIGN ME UP!